Here we see words about being wise. Think about your ways. The good man will be rewarded. A wise man fears the Lord. Those who are kind to the needy are blessed. Hard work pays off. Fear of the Lord leads to life. You’ll live longer if you’re wise. Motives matter to God. Commit to God. God works out everything. You’ll avoid evil if you fear the Lord. Be honest. Trust God, and you’ll be blessed. Be patient. Speak pleasant words. 6) Part personal Question. My answer: The wise build their own house, think about their ways, fear the Lord and shuns evil, and gain knowledge. Thinking about my ways. 7) Part personal Question. My answer: God desires us to have fear of Him, so we can have wisdom, and He’ll be our secure fortress. God is just for He brings down the wicked. God wants us to be kind, think about our ways, and to grow in wisdom with Him. Cultivating wisdom is hard work, and it’s easier to be evil in a sense. I need to be better at going out of my way to be kind to others and think about my ways. 8 ) Part personal Question. My answer: Honesty is valued. Pleasant words are instructive, sweet to the soul of the other person. Our wisdom is shown by what we speak, and by the control we have over the words that come from our mouth.Gossip separates close friends. I need to speak more words that flow from the honeycomb and be more instructive with them. There is always so much packed into a chapter of Proverbs that it’s hard to take it all in. Proverbs is meant to be read slowly and in small, digestible pieces. It’s hard when we have to cover two chapters to digest it all. This is all about the contrast between wisdom and folly. Wisdom builds; foolish tear down. The fool deserves the rod of correction (Proverbs 10:13), which is made of the fool’s pride and comes from his own mouth. Proverbs 14:4: Upheaval and a mess to clear up is the price of growth. A witness does not lie. Proverbs 14:6: Scoffer – someone whose pursuit of wisdom and the truth is cynical and superficial. The joy of sin forgiven. The joy of sin conquered. The joy of restored relationship with God. The joy of accepted service. The joy of usefulness for God. The joy of peace in time of trouble. Highest of all: the joy of communion with God. 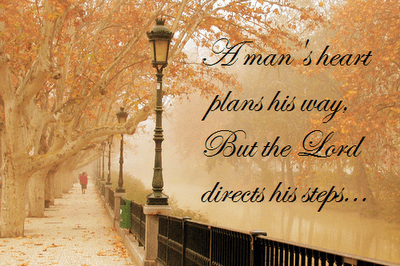 Proverbs 14:12: The way is the path of life a man or woman walks upon. Solomon observed that this way often seems right to a man. However, it can be the way of death. To really know if we are on the way of life (instead of the way of death), we need to fear the LORD and receive His wisdom, especially as revealed in His word. Proverbs 14:14: The backslider slips in obedience to God. Proverbs 14:20: Poor people don’t have many friends; rich people do. This proverb is an example of just a fact of life. Proverbs 14:22: Plan good, not evil. Proverbs 14:23: Hard work is rewarded. Proverbs 14:25: Truth brings light, freedom, blessing, and God. Proverbs 14:30: When we are sound on the inside, we’re healthy on the outside. Envy corrupts us from within and poisons other aspects of life. Proverbs 14:31: To oppress the poor is a direct sin against God. Proverbs 14:32: Righteous go to heaven (with Jesus as accepted Savior). Proverbs 14:34: Righteousness is to follow God’s will and God’s way. Proverbs 14:35: The king favours an able minister; his anger is for the incompetent. Proverbs 16:3: Solomon tells us to first commit our works, then trust that our thoughts and plans will be established. We usually think of this in reverse. Proverbs 16:6: God’s mercy prompted the great sacrifice of Jesus Messiah on the cross, and His truth made it necessary to make atonement in a way that honored the righteousness of God. Proverbs 16:9: We plan as we can and should, but we should never think our ability to plan makes us lord over our lives. It is the LORD who directs our steps. Proverbs 16:13: Kings need to hear honesty and wisdom. Proverbs 16:14: Kings can put people to death when angry, but wisdom will help us to have the right reaction. Proverbs 16:15: The welcome and approval of a king is like life-giving rain, especially the latter rain which ensured a good harvest. Proverbs 16:18: God hates pride. Proverbs 16:20: Obedience to God brings good. Proverbs 16:21: True wisdom is demonstrated in life. Wise teachers choose their words carefully and in so doing enhance the learning experience for their students. Proverbs 16:23: Our wisdom is shown by what we speak, and by the control we have over the words that come from our mouth. Proverbs 16:25: The repetition of this proverb (also at Proverbs 14:12) emphasizes its importance. Proverbs 16:26: Hunger makes a man work hard. Proverbs 16:27: An evil man spreads evil. Proverbs 16:28: Whisperer denotes a malicious gossip. Proverbs 16:30: Evil men don’t take evil seriously. Proverbs 16:31: Value the wisdom of old age of those who walk in righteousness. Proverbs 16:32: Under God’s wisdom and strength, to rule one’s own spirit is a greater accomplishment than to conquer a city. This is a powerful victory because you have to fight Satan with your own hands. Proverbs 16:33: To cast the lot was to use some tool of chance to make a choice. The lot was used to divide the land of Israel among the tribes (Numbers 26:55, Joshua 14:2) and to arrange the workers for the temple (1 Chronicles 24:5). The disciples used lots to fill the vacancy left by Judas (Acts 1:26).